MedStar Medical Group at Silver Spring (Silver Spring) - Book Appointment Online! The practice of Drs. Bisk, Dhar and Saavedra is a primary care practice that provides care for patients from 18 years to seniors. All three providers are board-certified in internal medicine. We accept most insurance. If you do not see our name in your provider directory, please give us a call. Ample parking is available. Handicapped accessible. 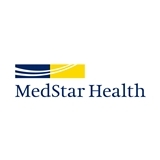 MedStar Medical Group at Silver Spring has been awarded recognition by the National Committee for Quality Assurance Physician Practice Connections® Patient-Centered Medical Home Program (PPC-PCMH). Recognition shows that the practice has the tools, systems, and resources to provide its patients with the right care at the right time. The front desk staff, nurse, and doctor were all kind and professional.